The fall migration of seabirds along the South Jersey coast is fascinating, inspiring, and sometimes overwhelming, as hundreds of thousands head south to wintering grounds. 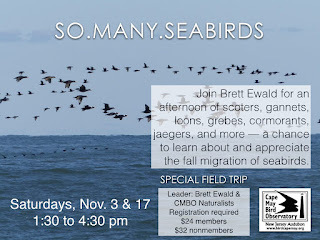 Join Program Director Brett Ewald and Associate Naturalists for an afternoon of scoters, gannets, loons, grebes, cormorants, jaegers, and more - a chance to learn about and appreciate these amazing movements. We'll concentrate our efforts around Stone Harbor and Avalon - taking it all in. This past week has seen a huge increase in the number of migrants with rarities, such as Razorbill, Long-tailed Jaeger, Arctic Tern and Black-legged Kittiwake, mixed in. There are two opportunities to take part: Nov. 3 & Nov. 7 - 1:30-4:30 PM. Hope to see you there! Preregistration required. $15 members, $20 nonmembers. Here at New Jersey Audubon’s Cape May Bird Observatory, we strive to keep our finger on the pulse of migration. It is through the efforts of our dedicated seasonal counters and naturalists that we are able to not only quantify the migration, but also share the wonder and excitement of the birds and butterflies that so enrich our lives. They are the front line and face of the organization when it comes to educating, informing, and carrying out the NJA mission. Please welcome them to the community and spectacle that is Cape May – stop by any of the migration count sites (Cape May Hawkwatch, Avalon Seawatch, Morning Flight, Montclair Hawkwatch) or Monarch tagging demos and experience it for youself. Thanks to Swarovski Optik NA for their substantial and continued support of our staff and projects. Rebecca is excited to be part of the New Jersey Audubon community. She has always been fascinated with the animal kingdom and enjoys being out in nature. She pursued these interests with a degree in Zoo and Wildlife Biology from Malone University in Canton, Ohio. Being surrounded by wonderful teachers, mentors, and friends, she couldn’t help but be encouraged in her love for birds and birding. After graduating in 2016, she decided to channel her desire to help birds into the field of zoo-keeping. She worked as a bird keeper at the Gulf Breeze Zoo in Gulf Breeze, Florida, for almost two years. Her time at the zoo helped her discover that what she loves most of all is teaching people about animals and the natural world around them. Rebecca’s goal is to share her love of birds through public education, so as to inspire the next generation of biologists and conservationists. When she’s not out birding—which, admittedly, is most of the time - she can be found trail running, painting and drawing, and spending time with her Yellow-naped Amazon Parrot. A sixth-generation area resident, Tom Reed is one of few birders who truly call Cape May home. He discovered birds at the age of 10 and was immediately captivated by the spectacle of migration visible from his Reed’s Beach backyard-- be it Red Knots departing for the Arctic on late-May evenings, or Sharp-shinned Hawks bounding along the bayshore treeline after an October cold front. 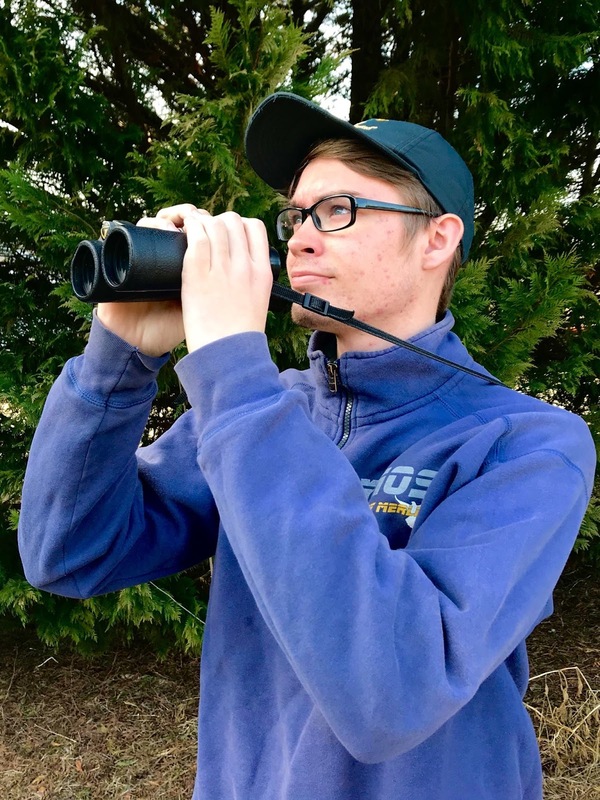 Tom started a hawk migration count along Delaware Bay at the age of 11 and has been actively involved in Cape May’s birding community ever since. TR has traveled throughout much of North America since graduating from Rutgers University in 2011, with assignments ranging from wintering Piping Plover surveys in the Bahamas, to breeding bird atlas work in Wisconsin, to tour leading in Alaska, and naturally, several fall seasons at Cape May. He has also appeared at various local and national birding events and represented CMBO in Israel’s Champions of the Flyway competition since 2016. Tom is editor of the Cape May Annual Bird Report, sits on the Board of Directors for the Hawk Migration Association of North America, serves as a Regional Editor for eBird, founded and compiles the Mizpah Christmas Bird Count, and is a voting member of the New Jersey Bird Records Committee. Tom has invested about 10,000 hours monitoring bird migration across all seasons at Cape May and was instrumental in the creation of CMBO’s Migration Count Coordinator position in 2015. Not surprisingly, his favorite birding takes place in wide-open spaces: oceans, grasslands, deserts, marshes, and anywhere visible migration occurs. Andrew is an aspiring ornithologist and conservation biologist. 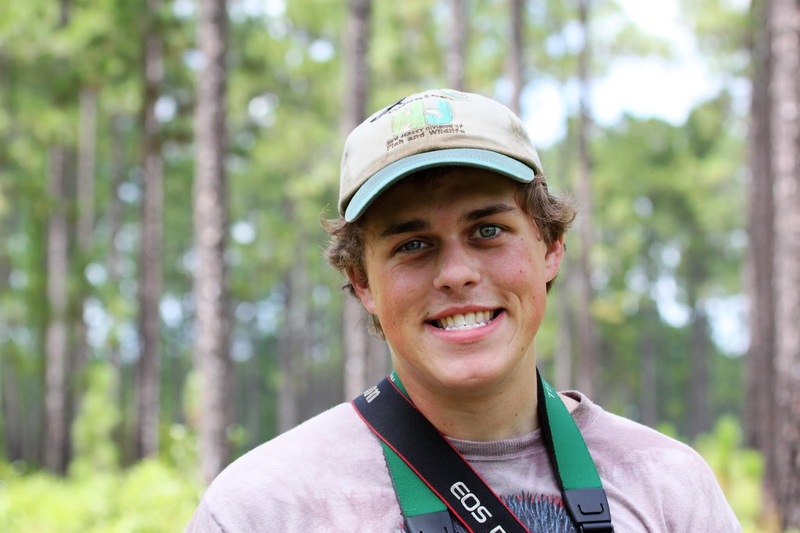 He fell in love with birds, birding, and ornithology during his sophomore year in high school. It didn't take long before he went all the way down the rabbit hole (or should it be petrel burrow?) 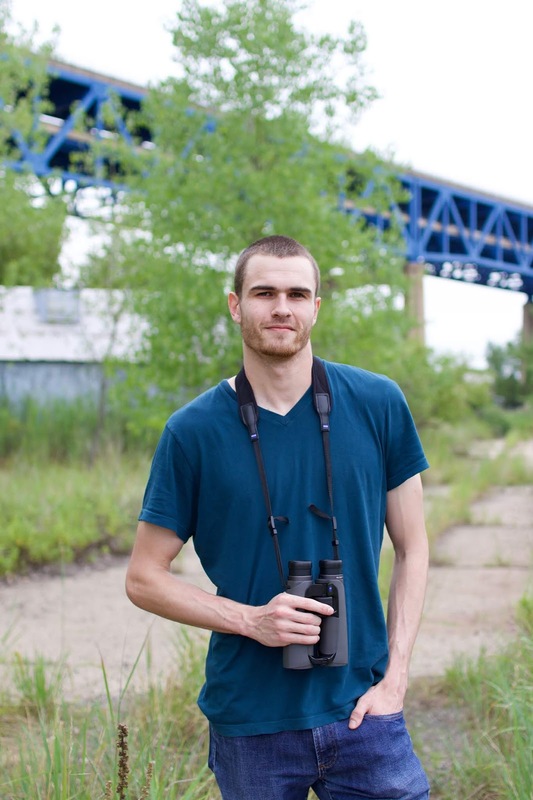 of birding passion, leaving his humid hometown of Columbus, Georgia to pursue an education in ecology and evolutionary biology at Cornell University in frigid upstate New York. After graduating, Andrew spent the fall of 2017 in Cape May working for NJA as an interpretive naturalist, where he had an absolute wonderful time immersing himself in bird migration and sharing its joys with those around him. Andrew is thrilled to be returning to Cape May this fall as the counter for the Morning Flight Songbird Count (“hats off to Glen Davis for his numerous years of service in this role; as he left big shoes to fill!”). This is Andrew’s first time as an official migration counter. He is both eager and afraid to tackle one of birding's toughest yet most exciting challenges. Although the necessity of the count means that he can't be his normally gregarious self, he welcomes anyone and everyone (regardless of skill level) to visit the Morning Flight count and revel in the splendor of visibly migrating songbirds! Morning flight is a phenomenon of ephemeral abundance, brilliant but fleeting views, and fascinating behavior. The fact that we have so much more to learn about actively migrating birds in Cape May (and across the continent) just makes it that much more captivating! At the end of the day, Andrew has a passion for all of the biodiversity that we share this planet with, and he looks forward to recording the abundance and diversity of the spectacular migrants passing through Cape May while experiencing that magic alongside everyone who comes to visit. Erik Bruhnke has loved birds since he was a child looking at chickadees. He graduated from Northland College in Wisconsin with a Natural Resources degree in 2008. Erik taught three semesters of field ornithology while attending college. Between 2009 and 2014, he spent his summers conducting field research focused on breeding bird transects in Upper Michigan, point counts for a breeding bird atlas in Minnesota and Wisconsin’s Northwoods, vegetation and breeding bird surveys throughout wind farms in North Dakota’s prairie potholes, and cavity-nesting surveys in the Cascade Mountains of Oregon. A devoted raptor nerd, he is drawn to hawkwatches. He worked as an interpreter for six seasons at Hawk Ridge Bird Observatory in Duluth, Minnesota; counted migrating raptors at the Corpus Christi Hawkwatch in Texas in 2015; and was the 2016 and 2017 hawk counter at the Cape May Hawkwatch. 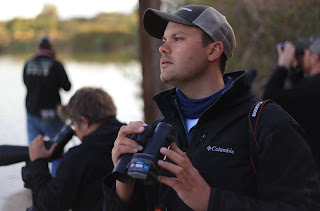 Erik’s wildlife photography has won national awards and his writings have been featured in Birder’s Guide via the American Birding Association, BirdWatching, and Birdwatcher’s Digest. Erik leads tours for Victor Emanuel Nature Tours as well as his own business, Naturally Avian Birding Tours. He enjoys kayaking and hiking in his free time and loves to cook and bake given the opportunity. Erik is thrilled to return to Cape May for his third consecutive year of counting the raptor migration! David is a graduate of Cornell University and a South Jersey birder from Newfield, NJ. He has worked a variety of jobs involving behavioral observations of birds, breeding bird point counts, radar tracking of birds, bird banding, and being a naturalist and guide. He is most interested in bird migration, abundance, and status and distribution over time and space. 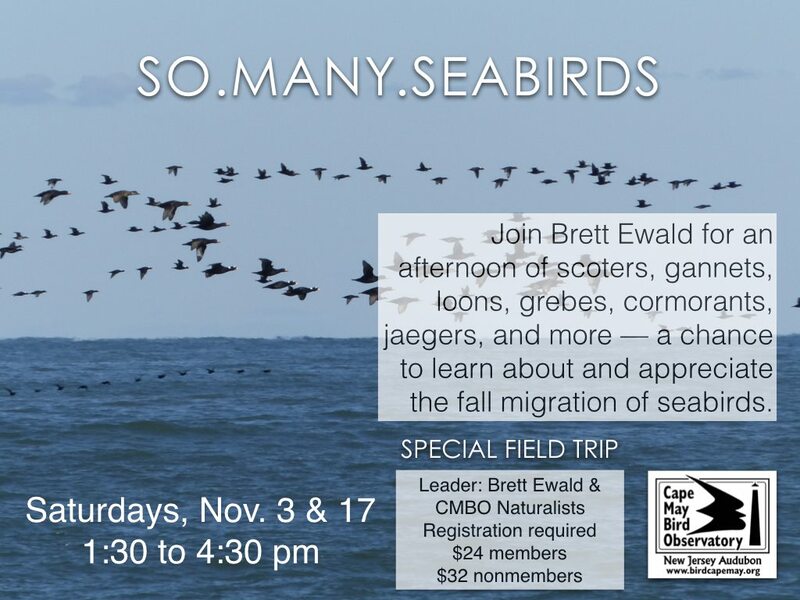 David was the Montclair hawkwatch counter in 2016 and the Avalon seawatch counter in 2017 and is excited to return to CMBO to count hundreds of thousands of seabirds and soak in the spectacle of visible migration in Cape May." Molly Jacobson graduated from the University of New Hampshire in 2017 with a degree in Wildlife & Conservation Biology and plans to pursue graduate studies in the near future. She has been passionate about nature her whole life, particularly insects and birds, and enjoys any chance to share her curiosity with others. Before coming to Cape May, Molly worked with the nationally threatened piping plover at the Rachel Carson National Wildlife Refuge in Maine, and published research on native pollinator declines with UNH’s Rehan Bee Lab. Enthusiastic about both macrophotography and nature writing, she works to incorporate these into outreach that can help foster appreciation for the natural world and spread awareness of the importance of conservation. In the future, Molly hopes to combine this outreach with fieldwork in order to contribute to the protection and restoration of native ecosystems. Jerald’s interest in birding began in earnest after receiving a field guide and binoculars for his sixth birthday. He grew up birding first in his backyard, but it wasn’t long before he branched out to various locations in his home state of Delaware and surrounding areas. His greatest interests in birding have grown to include nocturnal flight calls, morning flight and pelagic birding. More recently, he has begun to pursue interests in other facets of the natural world such as herps, butterflies and dragonflies. Jerald has come to love southern New Jersey after repeated visits over the past decade, especially after working with the Springwatch program for a month this past spring. He is very excited to be working with CMBO as an interpretive naturalist during the fall season! Adehl received her bachelor’s degree in Environmental Science with a minor in chemistry in 2017 from Robert Morris University in Pennsylvania. Throughout college, she interned at Fern Hollow Nature Center for several seasons, first as a summer camp intern and then as a college education intern. Adehl assisted with educational programming for students from pre-k to high school age, along with ongoing salamander research and environmental testing. Working for this organization is how she realized her passion for environmental education. 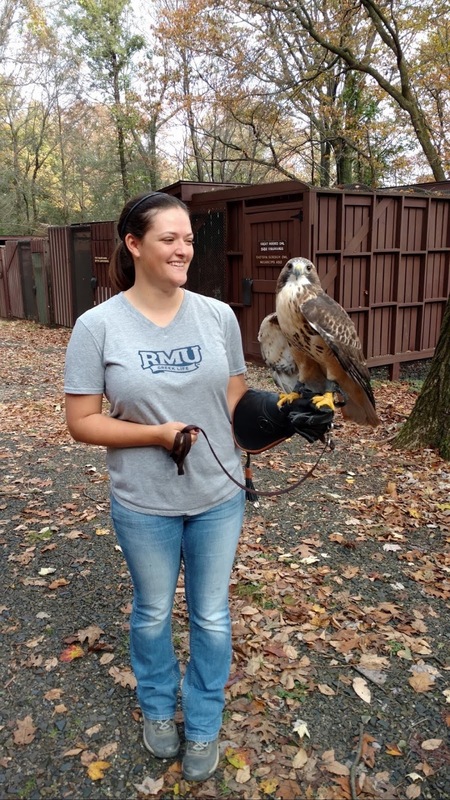 She spent two seasons at Hawk Mountain Sanctuary, her first in 2016 as a summer Education Intern assisting with educational programs and hikes. She spent her second season in the fall of 2017 as a Conservation Science Trainee assisting with fall migration counts and programs, as well as conducting a movement ecology study focused on black vultures in the Kempton Valley. Through these two experiences, Adehl became interested in raptor conservation and birdwatching. She recently completed an education internship at Shaver's Creek Environmental Center in State College, PA, creating and implementing programming, as well as working in their raptor center. She is very much looking forward to joining the CMBO Team this fall! Lindsey Cathcart is a recent graduate of the University of Delaware with a degree in Insect Ecology and Conservation. In her undergraduate career, she worked on a study examining the pollination ecology of various native flowering plants. After conducting research at Mt. Cuba Center in Hockessin, DE, she completed a senior thesis specifically investigating the quality of native Hydrangeas as food sources for pollinators. Most recently, she has worked as an entomology intern at Stroud Water Research Center in Avondale PA, identifying freshwater benthic macroinvertebrates for their usage in assessing water quality. 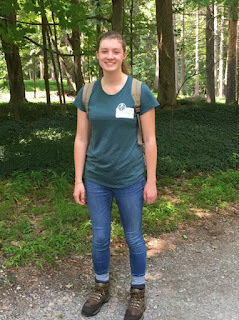 She is very excited to join the New Jersey Audubon team in Cape May this fall as an intern on the Monarch monitoring project and contribute to such a significant area of research. She hopes to attend graduate school in the future and is looking forward to the opportunity to grow as a scientist and continue to pursue her passion for entomology. Sarah graduated from Rutgers University in 2018 with a degree in Philosophy and Environmental Studies. She grew up in Ringwood, NJ, hiking, swimming and camping, and developing her love for the natural world. While in middle school, Sarah began volunteering at the former Weis Ecology Center as a Jr. Counselor. When the New Weis Center reopened, she returned as a field trip educator and head camp counselor. Her love of nature really began to blossom after a dendrology course in college, where she began to understand the entire ecology of an area and the importance of biodiversity. Since then, Sarah has been interested in native plant conservation and restoration ecology. She looks forward to working with the Monarch Monitoring Project to help make an impact on these locally endangered pollinators, while getting to help educate the community about this important mission! Liam grew up in Haverford, Pennsylvania. As a kid, he became fascinated by raptors upon learning about the awe-inspiring speed of the Peregrine Falcon. Growing up within driving distance of Hawk Mountain and Cape May gave him the opportunity to learn about hawk migration at some of the country’s most important count sites. 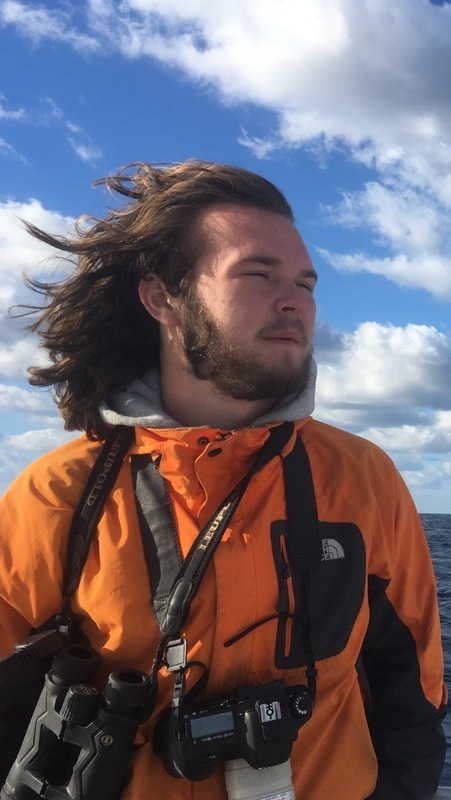 After studying history at Wheaton College in Massachusetts, Liam served as a Natural History Guide at Mass Audubon’s Broad Meadow Brook Conservation Center and Wildlife Sanctuary. He also provided educational trail hikes and organized public programs as a staff member at Summer Star Wildlife Sanctuary in Boylston, MA. During his time in Massachusetts, Liam was a volunteer with Eastern Mass Hawk Watch and called Mt. Wachusett his primary hawkwatch during Fall migrations. He is now based in the Philadelphia area and is excited to work the Montclair Hawkwatch this season.